Apple introduced several new camera improvements with the new iPhones, but one improvement went a little too far — to the extent that the effect it produces looks odd in some cases. Now it’s being reported that Apple plans to fix the iPhone XS Beautygate issue in the next iOS update. What is the iPhone XS Beautygate bug? Some users even complained that the feature changes their skin color altogether. Users of Reddit and other forums posted side-by-side selfies taken from the iPhone XS and older iPhone models to highlight the issue. The comparisons showed blurring of blemishes, an added pinkish hue on skin and a slight glow. What was causing the issue? Citing unnamed sources, The Verge claims the issue is due to a bug in the smart HDR camera system. Specifically, the iPhone’s Smart HDR function is choosing the wrong base frame for HDR processing. The system sometimes selects a frame with longer shutter speed rather than going for the frame with a short shutter speed. The problem was aggravated by the lack of optical image stabilization in the front-facing camera, which again leads to blurred shots. The Verge explains that iOS 12.1 will pick the sharpest base frame for the “HDR merge” when taking a selfie. As of now, it is not clear when iOS 12.1 will finally be released to the public. Currently Apple is working with the fifth developer beta for iOS 12.1. Hopefully the iPhone XS Beautygate fix will be out in the next few weeks. 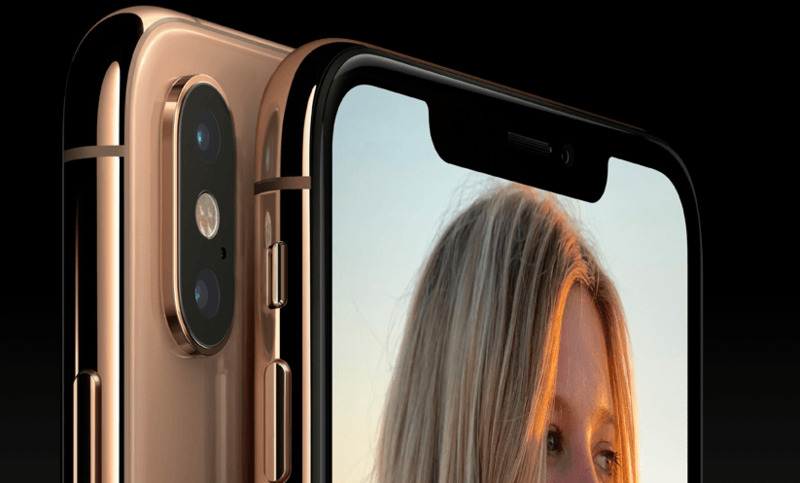 The iPhone XS BeautyGate issue is one of a few problems the new iPhones have been plagued with. Apple recently fixed a major charging issue with the new iPhones. Because of the issue, the new iPhones wouldn’t charge unless the screen was activated. In related news, Apple and Samsung have been fined in Italy for deliberately slowing their phones. The companies were fined £10 million ($11.5 million) and £4.4 million ($5.7 million), respectively, for the “planned obsolescence” of their phones. This is believed to be the first such fine against smartphone makers, which have been facing accusations globally for engaging in such a practice. Smartphone manufacturers have been accused of pushing operating system updates to older phones to slow them down, indirectly encouraging users to buy new phones. The Italian competition authority launched an investigation in January and found that some of the software updates negatively affected the smartphones’ performance. For instance, Samsung asked Galaxy Note 4 users to install the latest version of Android, which is intended for the more recent Galaxy Note 7. However, users claimed the update slowed their phones. Similarly, iPhone 6 owners were told to install the iOS version designed for the iPhone 7, resulting in slower performance for older iPhones. Apple and Google were fined a maximum of €5 million each. Both have also been ordered to display the watchdog’s decision on their Italian-language websites. Apple faced an additional €5 million fine for its failure to provide users information on “essential” characteristics of lithium batteries, including how to maintain them, their average life expectancy and how to replace them. In December, Apple admitted that it intentionally slowed iPhones with degraded batteries to address the sudden shutdown problems. However, the company denied that it did this with the intention of reducing the life of the product.